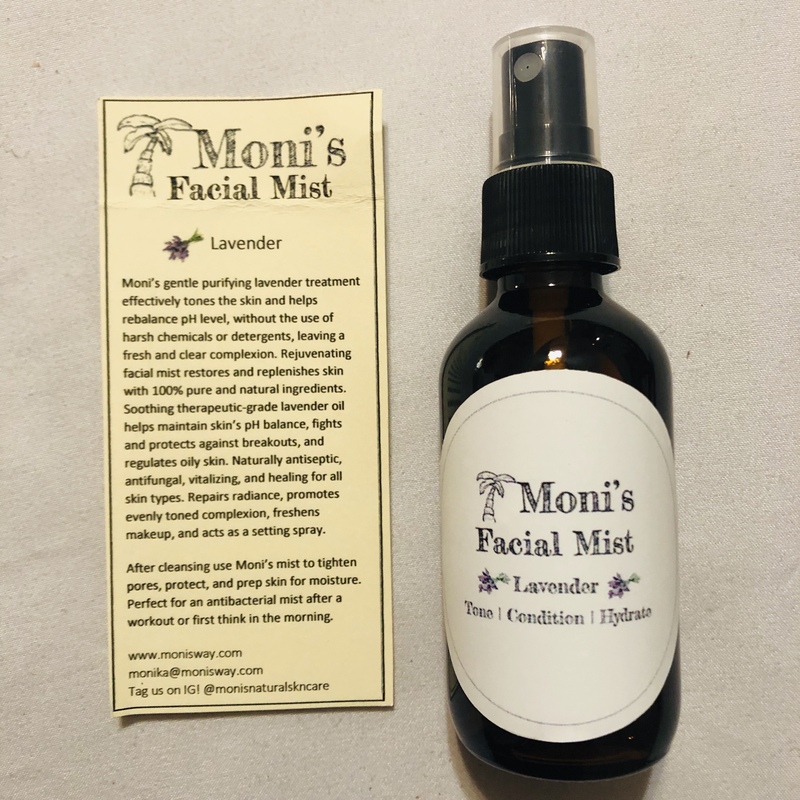 Moni’s 100% natural, three ingredient face mist tightens pores, reduces redness, and balances skin’s natural pH revealing a glowing, hydrated, evened complexion while relaxing the mind. Balance out skin tone, reduce redness irritation, and refresh and cool the skin. Lavender Oil helps to fight and protect against breakouts and regulate oily skin. Research has shown it helps treat acne, wrinkles, psoriasis, and other inflammatory conditions with it's antiseptic and anti-fungal properties. Perfect to use for a refreshing, antibacterial spritz after a workout on the go.